All we can say is WOW - what a great array of wonderful entries for Spring Is In The Air. It was such a joy to visit all your posts this past month. But before we reveal who our April Winner and Pinworthies are, it's our very great pleasure to welcome Aisha of Enter Into the Magic as our Guest Creative Guide today. Aisha was the winner of our Industrial theme in February, and I know you're going to absolutely love what she's created for the Sew Special challenge currently being hosted by Jenny. So let me hand you over to Aisha to introduce herself. Hi my friends my name is Asia (Aisha) and I'm from Poland. I have been scrapbooking for 3 years. In mix media style I'm only two years but I know this is something what I love. In my projects I mix a few styles - retro, fantasy and steampunk with a little bit of magic. I use dark, deep colours, textures, flowers and lots of metal parts. The most fun for me is to use in my art small watch parts, gears and cogs. 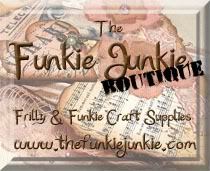 Usually I create mix media canvases, boxes and altered items. Mix media is for me self-expression. I like that every project can tell different story and show different emotions. 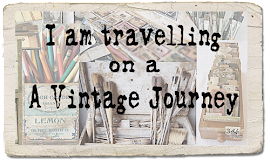 I'm so happy to be a guest designer here at A Vintage Journey. Today I would like to show you an old box with a dragon eye. This month challenge is "Sew special" so I added to my project some different fabrics to create an interesting background. I used lace, gauze, tulle and thread. What I did first was to use stencil and modelling paste to create the wall. When it was dry, I applied black gesso and Antiquing Cream in Carbon Black. I wiped some gesso with wet wipes. On the corner I put on some modelling paste to create dragon effect ;) Next I applied some acrylic paints -Gold and just touch of Inka Gold Old Silver . On the front of the box I added beautiful dragonfly wings. I covered them with black gesso, and added some colours. There is also a small elf hiding in a cabochon. On the side of the box I put a gold steampunk dragonfly with some small gears. On the top I glued amazing flourish frames with dragon eye inside. For my background I used modelling paste and lots of gauze, tulle and lace. I start to add all embellishments - flowers, buttons, metal parts and little bottle. I painted everything with black gesso. To make the texture of my box more interesting, I sprinkled some micro beads. I covered them with black gesso. As the final step, I started playing with colours. I used mists: Distress Spray Stain - Peacock Feathers, Tarnished Brass; 13 arts - Pearl Violet, Turquoise Light; and mica powders - Blue Opal Magic, Gold Opal Magic, Purple; and DecoArt acrylic paints - Cobalt Turquoise, Rich Espresso, Venetian Gold. Wow - what a fantastic piece of altered art, Aisha, with great textures from all those fabrics. Thank you for joining us this month to share your inspiring artwork. 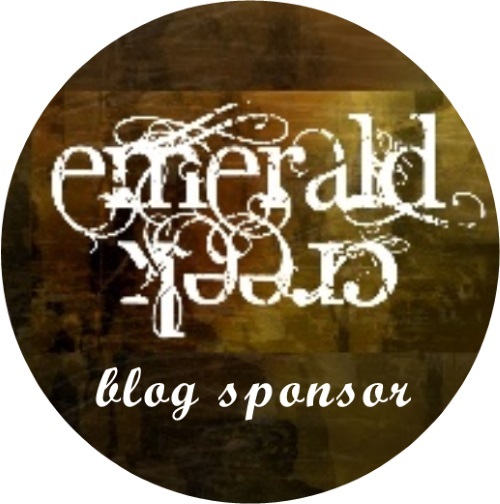 Do take a trip over to Aisha's blog Enter Into the Magic to see lots more of her creations. And now it's time to see who our talented April winners are. 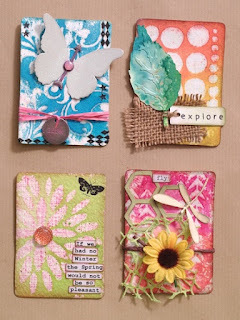 That's LauraVi of Vive La Vi with these charming springtime ATCs. Congratulations, Laura! Your winner's badge and prize voucher will be on their way to you soon, and we hope you'll join us as a Guest Designer here at A Vintage Journey in the months to come. Now onto our selected Pinworthies chosen by the Creative Guides. This is always difficult with so many wonderful creations but these three are the ones we felt really captured the challenge with their submissions. Congratulations to our Winner and Pinworthies. We will be in contact shortly with your badges and invitations to be a guest designer here at A Vintage Journey. 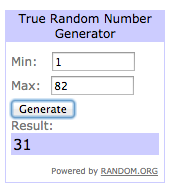 Thanks again to everyone who entered, and we hope to see you again this month for Sew Special. Remember, one of our Creative Guides will be back on Monday to share the next Destination Inspiration. You'll have to drop in to find out who it is and what they've done with the contents of this month's travel bag, so we'll see you again soon! Aisha, your box is FAB-u-LAAS! The first thing that caught my eye were those bricks! Well, after the creepy hands, of course! How gorgeous this entire project is! Big round of applause and congrats on your Guest Design Spot! The ladies at A Vintage Journey couldn't have picked someone better for the job! Congratulations to LauraVi, Maura and Branka! Well done ladies, and so deserving of the Pinworthies, Maura and Branka! Love that altered spoon! How clever! Thank you to all the Creative Guides for adding my tree stump to your Top 3 picks! Totally made my day! Hugs! Congratulations to LauraVi, Maura and Sara! It's so well deserved, ladies! You all did a wonderful job! That tree stump is out of this world awesome! Brilliant! Thank you so much to all the AVJ CG for adding my altered spoon to your Top 3! I am so honored! Welcome Aisha. Wow! Your altered box is amazing. So much detail, interest ,texture and fabulous colour palette. An absolute feast for the eyes. Thank you so much for csharing it with us here at AVJ . Lovely to learn a little more about you too . Beautiful altered box Aisha! Very inspiring! Congratulations to Laura Vi, Maura, Branka and Sara Emily on such stunning samples! What a fabulous selection! An amazing truly magical box from Aishia, wow, thank you so much for sharing your work with us here! Wonderful work from our three pinworthies too, so well deserved! And of course big congrats to our winner Laura Vi also!! Gorgeous box, Aishia! I especially love the blues! Congrats to all the winners on your beautiful projects - love the spoon and stump, so creative. I am so honored to be picked too, you've made my day!! Congrats Laura Vi! Wow Aisha, your box is stunning, packed with so many wonderful details and has a magical feel to it. Congrats to all our winners with your beautiful art work, thanks for sharing. WOW I can't believe Random Generetor selected my name, what a great chance for me! Congratulations to the Pinworthies ladies and to Aisha, her box is magic! 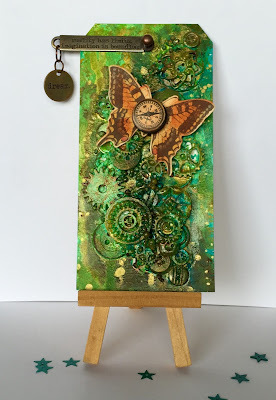 What an astounding altered box, Aisha - a brilliant offering for the Sew Special theme. Thanks so much! Congratulations to our Winner and Pinworthies - great work all round from a very strong entry field. Aisha your box is truly amazing. !!! I love what you did. All the fabulous chippies, metal, creepy hand, bottle... All placed just thpe perfect way. And the bricks look gorgeous !! And of course congratulations to the winnfer and the pinworthies. I enjoy so much the inspiration you provide by sharing your fab work. Pinworthy Guest Day - what a treat!